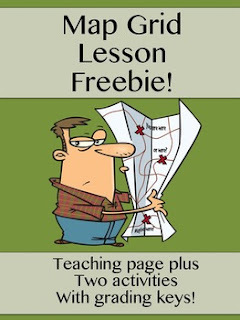 If it's time to teach maps in your classroom, don't miss this fun freebie when it comes to teaching about map grids. Get one teaching page and two student worksheets with grading keys. This resource comes from a larger resource called "Maps From A to Z". To check it out, click on the link below! Be sure to follow my store to receive 1/2 off on all new resources within the first 48 hours of launch.